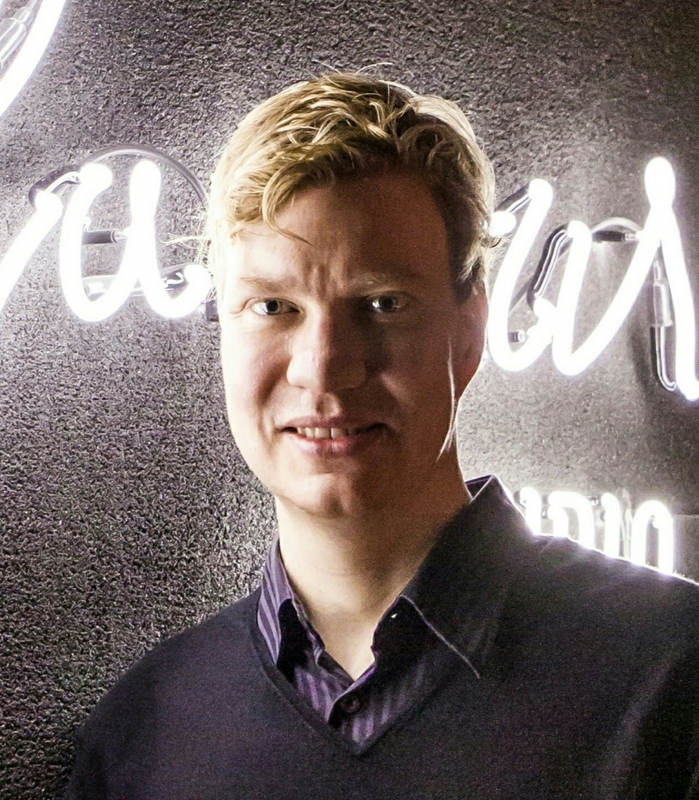 Born in Jyväskylä, Finland 1976 | Lives and works in Helsinki, Finland. 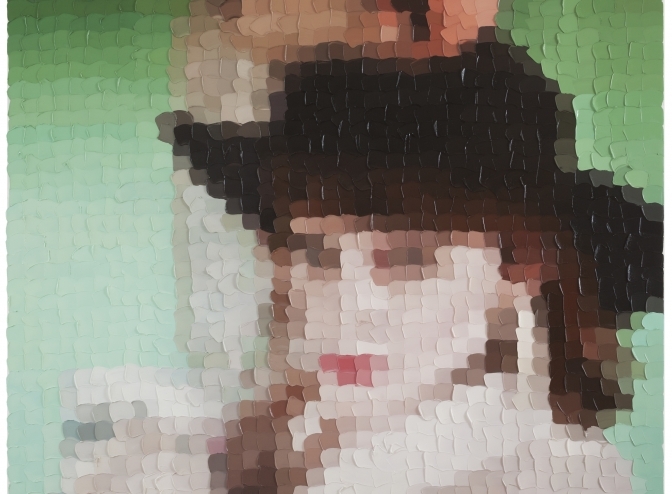 In his oil paintings, Sami Lukkarinen examines the relationship between the digital image and painting as well as the phenomenon associated with profile images from social media. 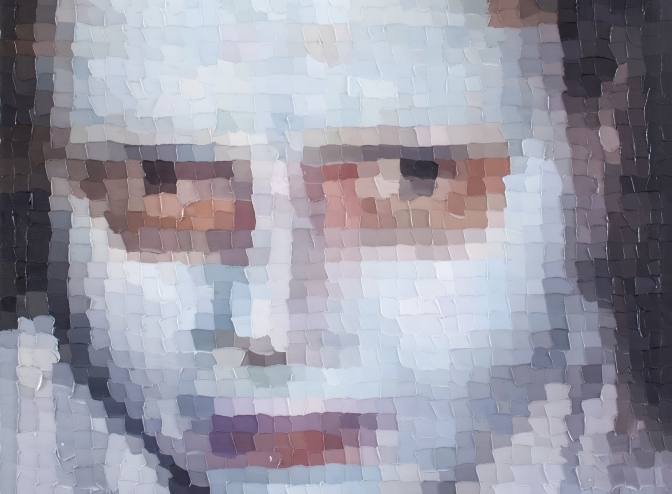 Lukkarinen creates an intermediate space with his large pixilated paintings in which two opposite methods of presentation meet. Pictures from the computer screen swarm around in small clumps. 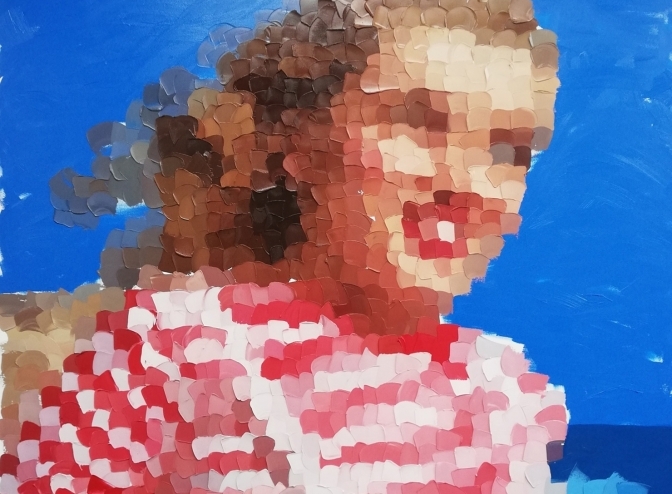 These pictures Lukkarinen creates as large oil paintings by examining every pixel’s color tone, one at a time. He mixes the correlating tone with oil paints and paints it with a palette knife on the canvas. 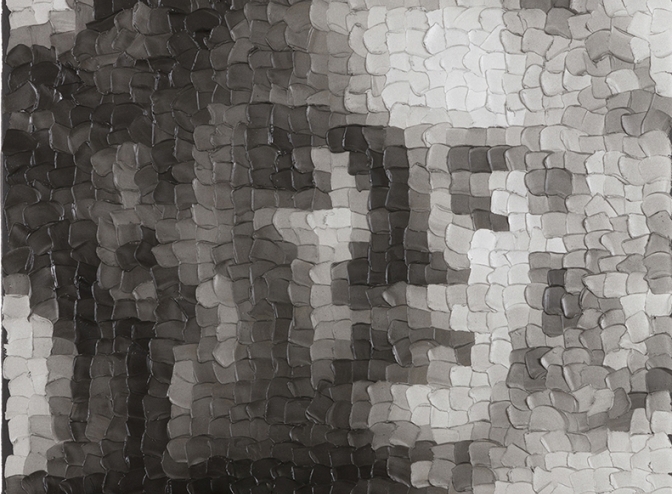 The boundaries painted by the palette knife remain sharp; they overlap, over and over again, forming a three-dimensional surface on the painting. The tight organization of pixels in the digital image breaks down as the work progresses, as differently sized and directional palette-knife strokes create an individual rhythm for the painting. The works also contain a spatial element: when the works are viewed from up close, the impression is one of abstract and painted, but when viewed from further off, the figure becomes more precise. Lukkarinen graduated from the Finnish Academy of Fine Arts in 2001. His works are in the collections of several museums and foundations, such as Kiasma and the Saastamoinen Foundation. In addition to private showings, he has participated in many group exhibitions in Finland and abroad. Galerie Forsblom has been representing Sami Lukkarinen since 2012. Sami Lukkarinen and Riiko Sakkinen in a group exhibition at Kuntsi Museum of Modern Art. 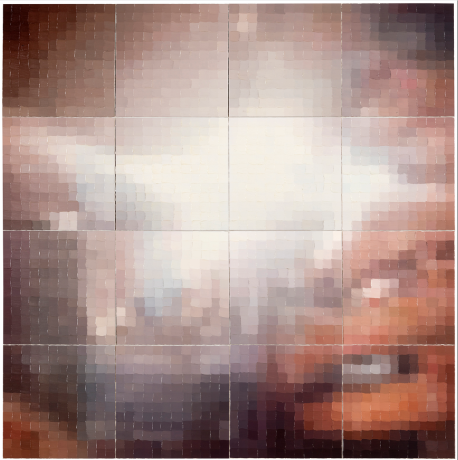 Sami Lukkarinen and Riiko Sakkinen are participating in the group show Glitch Art at Kuntsi Museum of Modern Art Vaasa.